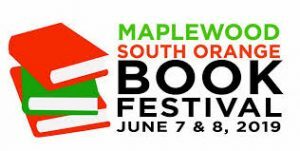 This is my first year attending the Maplewood South Orange Book Festival, and I can’t wait to go. If you’re in the area, you have to come. R.L. Stine will be there. Ron Darling will be there. I will be there! The festival takes place at “the Woodland” (60 Woodland Road, Maplewood, NJ, 07040) on June 8, 2019, from 10am to 5pm. Check out the festival website for more information, and find out what other authors are attending.